Your recipes which you'd like to see in the T&TTT Cookbook #2. Fresh flavor from from fresh ingredients. The darker the jalapenos the hotter they will be. You can add a light green jalapeno for flavor; that's the way a like this. Spicy with a good balanced flavor! Combine all ingredients in bowl. Add lime juice and then salt to taste. Cover with saran wrap and let sit in frig for 20 minutes to let flavors meld. Stir and serve with your favorite tortilla chips. 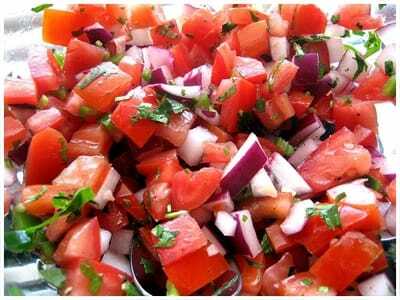 This is the best fresh salsa recipe you'll find!